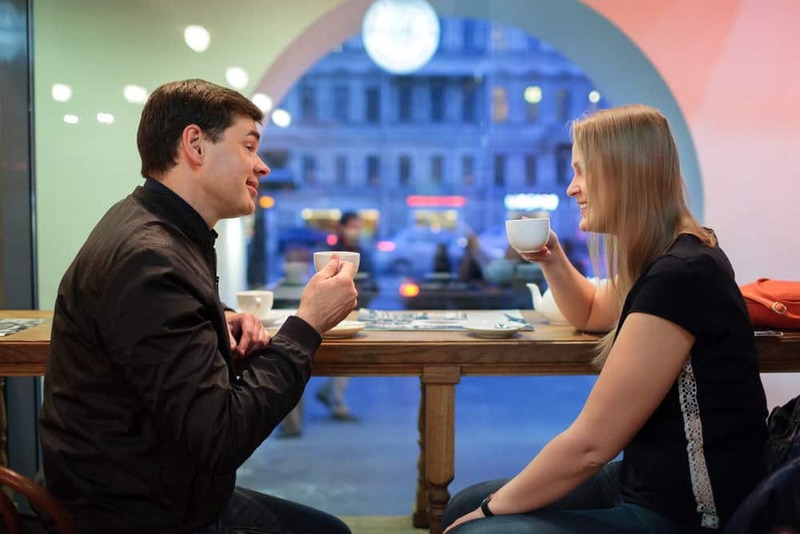 First dates and subsequent dates can be challenging if you don’t know what to talk about. 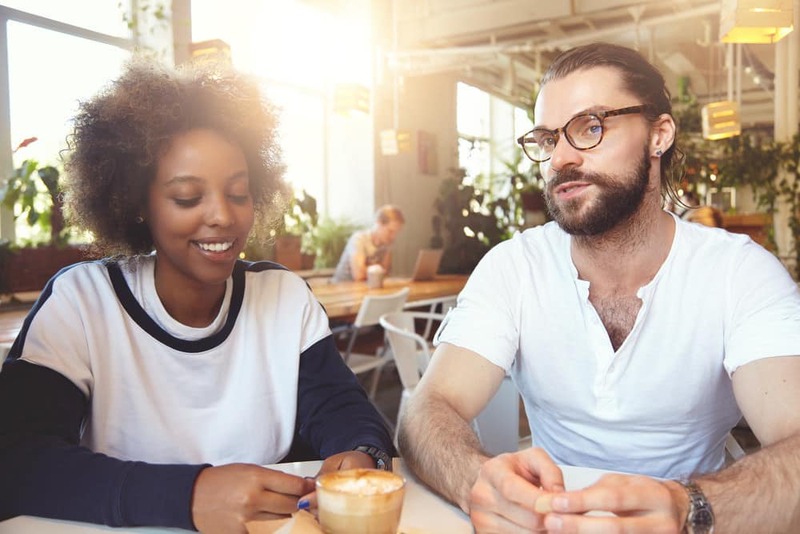 If you’ve ever been on a date and that uneasy silence occurs, and you’re racking your brain trying to think of a question to ask or comment to make, then you’ll appreciate learning some of the top conversation starters you can use on a date. With just a little bit of time and practice, you can kiss those awkward silences goodbye. 1. What are your biggest passions? Almost everyone has some sort of passion in their life. Something that they truly love to do or that makes them feel super alive. Asking this question helps you gauge a person’s spirit and zest for life. Before you ask this question, think about what your greatest passions are, because chances are you’ll be asked the same question in return. 2. Why do you like living in this city? This question allows you to get a little glimpse into how active one is in their community. If the answer is “nothing”, yet you love the city, then that may influence your attitude moving forward. 3. What are the top three destinations you’d like to visit? Doesn’t hurt to know where someone likes to explore. What’s their dream vacation? Do they like to travel globally? Or would they rather stay close to home? 4. What’s a typical day look like for you? This is a great question to gauge someone’s daily life routine. Do they simply go to work and go home and veg out? Or do they hang out with friends, take the dog for a walk, or hit the gym? 5. Who do you hang around most? Who do they spend their time with? Maybe it’s their best friend or a family member. Or maybe it’s a neighbor or a co-worker. 6. What are your favorite types of food to eat? Do they enjoy local cuisine? Ethnic cuisine? Is your taste in food compatible? 7. What’s your all-time favorite television show? Find out what television shows they love the most. Maybe it’s Friends or The Walking Dead. Or maybe it’s Leave It to Beaver or Seinfeld. Someone’s favorite television show does actually say a lot about them. 8. Do you like to read? It’s all right if they don’t like to read, but if they do, find out what kinds of books they like to read. Fiction? Nonfiction? Sci-fi? Personal development? Quantum mechanics? 9. Do you like animals? If so, which ones? It’s always good to know if you’re with an animal lover. Someone who can’t stand animals may not jive with you if you love them. Do they like dogs and cats? Do they have any? Do they want some in the future? 10. Do you have a pet peeve? It’ll serve you well, should you keep dating this person, to know their pet peeves. 11. Are you close to your parents? Not that they have to be close to their parents, but it’s always a plus if they are. If they spew a lot of angry words or hate toward one or the other, it may indicate that they may be carrying some emotional baggage that could influence their attitude in the future. 12. What is your biggest fear? They may not really want to discuss their deepest, darkest fears with you, but they may be willing to offer something. Maybe they are afraid at losing their job, or failing at something they’ve been working on. Or maybe they’re scared of flying, spiders, or large crowds. Find out what spooks them. 13. Are you an early bird or late-night owl? Do they love to get up and enjoy their mornings or would they rather stay up half the night and sleep in? Good to know for future reference. 14. What kind of music do you like? Do they like country? Rap? Jazz? Christian? Do you think it matters if they don’t jive with your music taste? 15. What do you think is your biggest strength? See if they have thought about what their biggest strength is. Be ready to let him or her know yours! 16. What’s your biggest fear regarding a serious relationship? It’s always interesting to hear the answer to this. 17. Do you like your current job? Hopefully this is a yes, but if not, ask them if they could do any job in the world, what would it be? 18. Do you think you had a good childhood or was it challenging? Not everyone agrees, but many experts state that those who had troubled or traumatic childhoods may have more emotional issues later in life. Keep in mind someone who had a horrible childhood may not be comfortable answering this question, and if that’s the case, just move onto something else. 19. What kind of hobbies do you like? Are you actively involved in a group or some sort of community gathering where you do your hobby? 20. Do you think you’ll live here in this city forever? If not, where would you like to move? It’s great to know what his or her future location plans are. If they want to relocate to an area and you’re not fond of this, it’s good to know this right up front. 21. Ever have an extremely embarrassing moment? He or she might not love to answer this, but maybe you can share your most embarrassing moment first. 22. Do you consider yourself an affectionate person? It’s always good to know. If you need a seriously affectionate person, and they tell you they’re not wired that way, this can help you decide whether to keep dating that person. 23. What’s one of your favorite memories of childhood? See what they remember most and why it has stayed in their minds all these years. 24. Have you ever invented anything? If so, what? If not, what would you like to invent? 25. Are you into politics? Be prepared to talk a little bit of politics here if they are into it, or simply state that you’re not interested in politics to get off the hook. 26. How do you feel about the LGBT crowd? Might be interesting to find out and see if you’re on the same page. 27. When you’re really down, do you talk to someone about what’s bothering you or do you hold it inside? If you do talk, who do you talk to? 28. What’s your idea of a perfect date? Be sure you think this through so you’ll have an idea to share. 29.Where do you see yourself in five years? Do they have goals? Short-term and long term? 30. If you could have dinner with a famous person, who would it be and why? Dating can be an awkward time for some people – especially those who aren’t super great at communicating. Good news is that you can study questions such as these, so you can be better prepared when you’re out on a date. Use some of these for starters, and don’t be afraid to come up with your own list too. After a while, you’ll get the hang of conversation starters and be well on your way to mastering dating conversation.